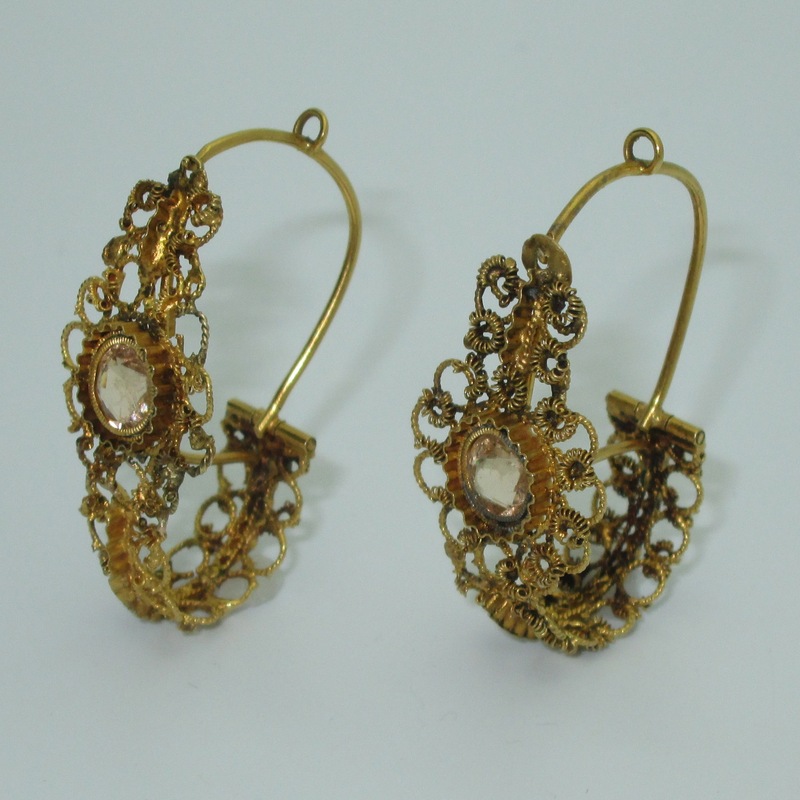 Since ancient times earrings were women’s prized possession. 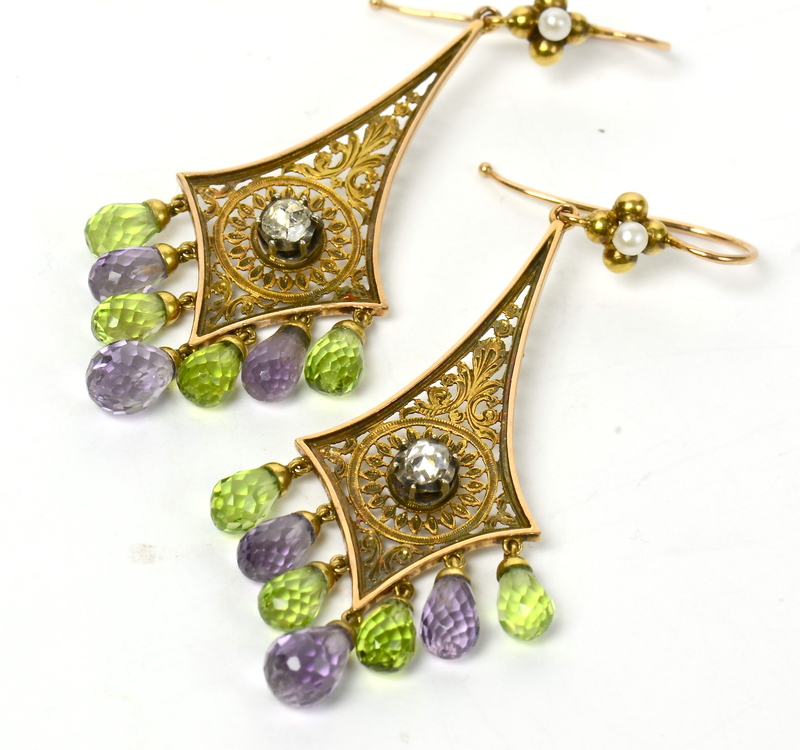 Whether small little studs, large chandeliers, skillfully set with gems, or playfully designed with ready-mades, earrings are the final touch, that extra little bit of style that frames the face and finishes up the look. Earring are under the spot light in a new publication, a book titled I Love Those Earrings (Schiffer Publishing) by Jane Merrill and Chris Filstrup. Lucky me, Jane and I are co-authors of two upcoming fashion history books (more about that in the near future) so she agreed to answer some questions and share her experience of researching and writing. Keren Ben-Horin: Hi Jane, congratulations on the wonderful new publication, the book has some spectacular illustrations. First things first, why earrings? 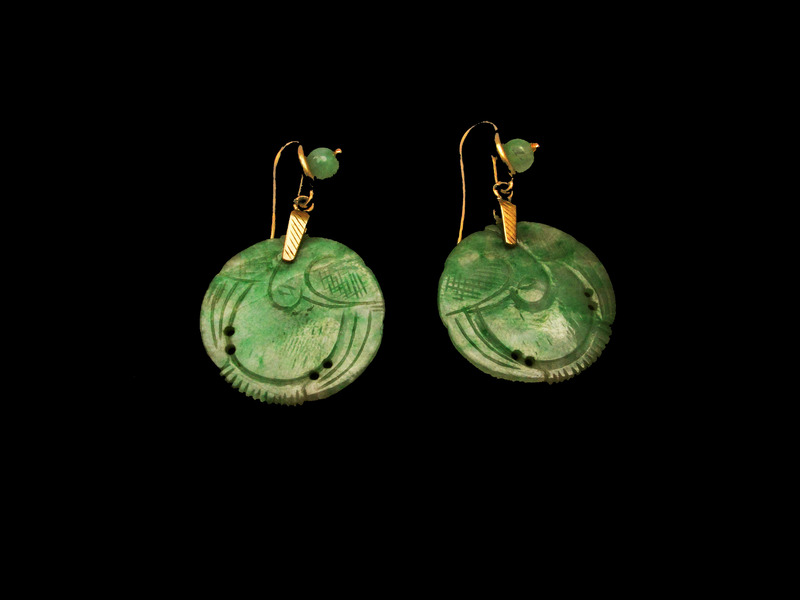 Jane Merrill: Beginning with ancient Celts, Greeks, Scythians and Egyptians, people wore gorgeous and intricate earrings that exhibited personal style. The more you look the more you see about their beauty, how the wearers glamorized themselves, and the cultural context. 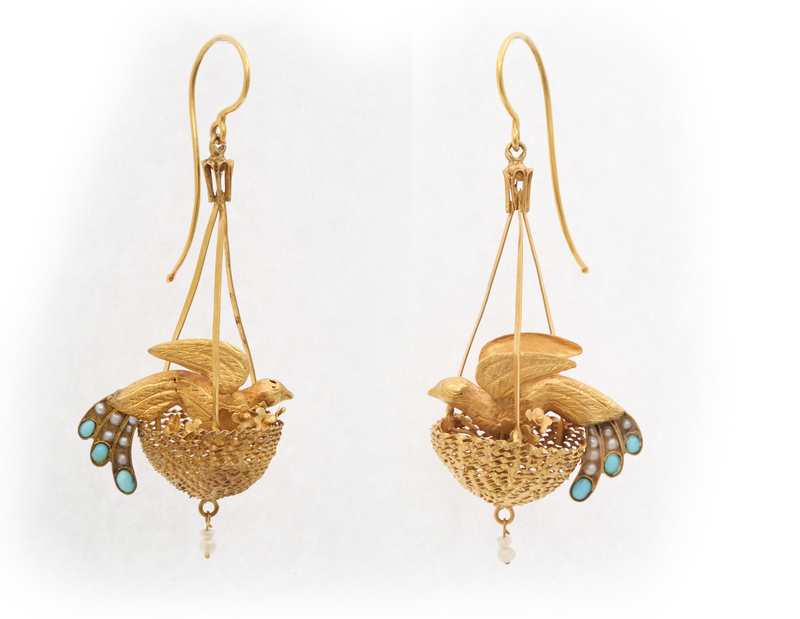 I was living in Paris when I began to study earrings – in antiquarian fairs and shops, and in museums. I discovered that earrings often don’t show up in reproductions, whereas in paintings especially from the Renaissance to now they provide the fascinating detail. KBH: Tell us a little bit about the arrangement of the chapters. JM: My co-author, Chris Filstrup, and I surveyed from ancient examples to the present. Most sources skip the medieval period as having no earrings which isn’t true. We chose to subsume the Georgian jewelry style within Romanticism, 1815-1840, which seemed to suit earrings very well. The book has women talking about their earrings, men (like pirates and athletes, Chris’s chapter) who wear earrings, designers doing intriguing things, and how earrings fit into my life, too, as a journalist and one time semi-hippie. 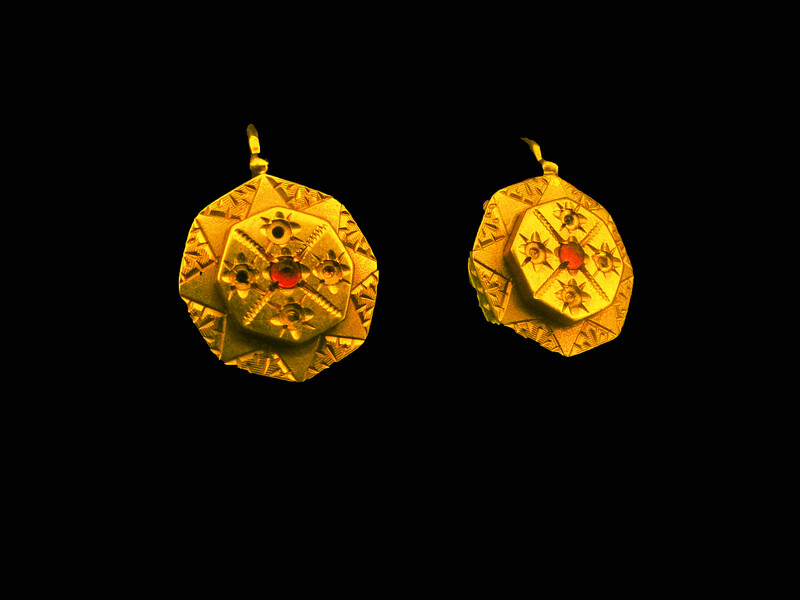 KBH: Out of the periods covered, which is your favorite in terms of earrings design and why? JM: Victorians of Europe and America sit in the middle of our book because their era was an apex for partisanship, invention, and charm. 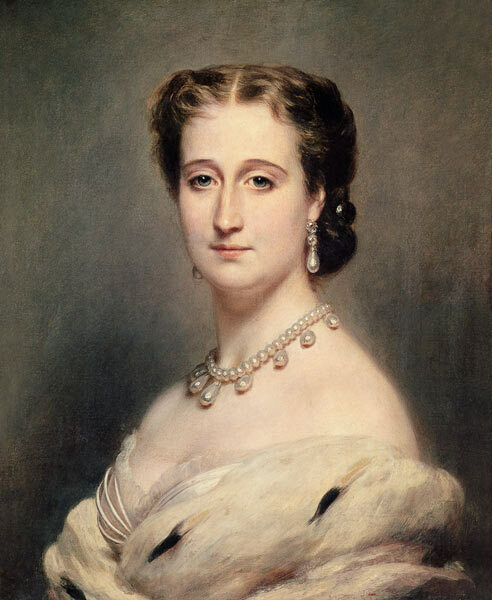 Prince Albert gave Queen Victoria earrings made from teeth of his stag quarry, and women who were “sportive” themselves or spectators of their beaux and husbands wore miniature racing shells, croquet mallets, etc. in their ears. Then there were the earrings made of every color hair but red (too flashy) and whimsies like the vogue for housefly or exotic natural motifs post Darwin. Portrait of Empress Eugenie. 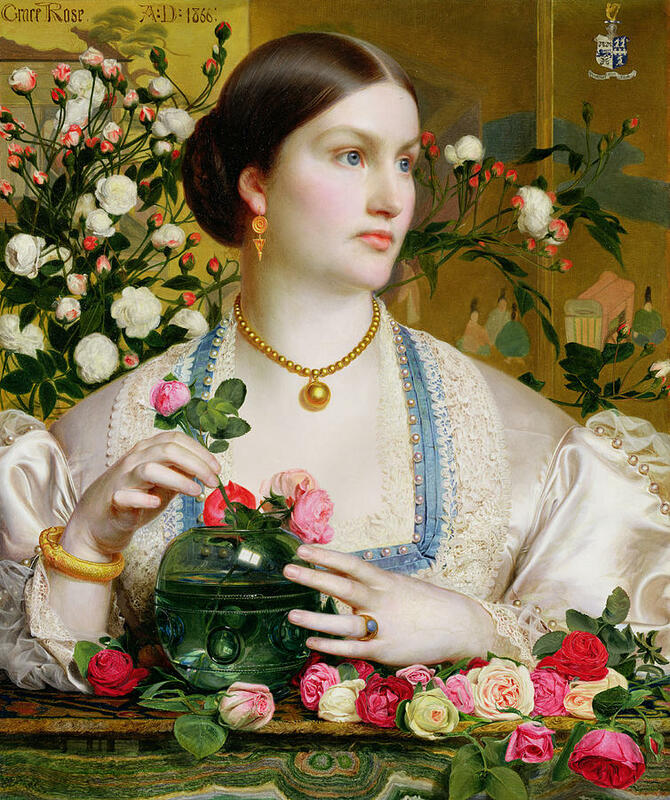 Frantz Winterhalter. KBH: Can you explain why a certain type of earrings was adopted in a specific era or culture? JM: Availability of precious metals is a story in itself. For example one of my favorite pairs in the book is gold sculpted women’s heads, with tiaras, and earrings – earrings wearing earrings. The modeling is exquisite and when they were fashioned in Crimea in the fourth century B.C. there were abundant gold artifacts being made. The Supplies of natural pearls kept shifting, so that when the pearl trade in the Persian Gulf was depleted, other sources were sought. 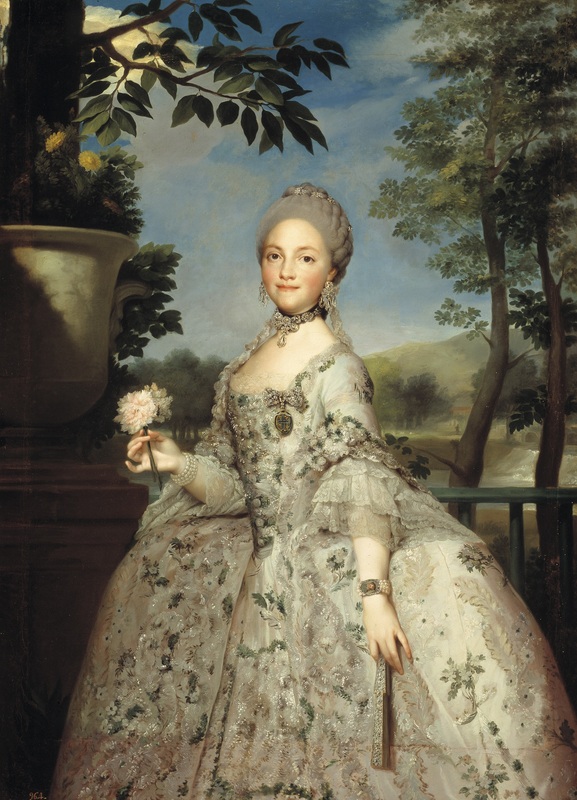 Even on Elizabeth Regina’s gowns not all the pearls were real, although the ones in her earrings were. 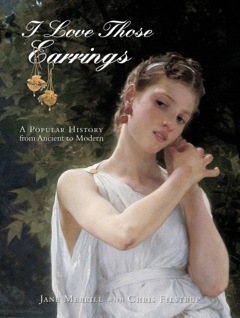 KBH: were earrings popular at some periods more than others? Why do you think that is? JM: Wimples, hats and usually veils are anathema to earrings. Decolletage, hair bobs and up-dos encourage them. KBH: Tell us a little bit about the research process. Where did you begin? What kind of sources were you looking at? Where did you find the greatest abundance of information? JM: Does one have guided tours of La Vielle Russie and Verdura, and meet gemologists and curators of jewelry to write on earrings, or write on earrings for these dazzling opportunities? I’ve fastened on earrings every since putting in order my mother’s jewelry box. Also, much jewelry appears on the Internet that is fugitive, as soon sold, and sellers were kind enough to assist me with many of the images. I regret to say that, many years ago, I wimped on an assignment for Town & Country to go down into the diamond mines, from fear. KBH: The book features some remarkable women who enjoyed splurging on jewelry. Can you give us one or two examples? How did jewelry, politics and power intertwined? JM: There are so many. Cleopatra dissolved a pearl and drank it to impress Marc Anthony; the Virgin Queen’s last suitor, a French prince, gave her an earring in the shape of a frog to remember him by; Louis XIV when he was a dauphin gave his first love Marie Mancini a perfect pearl drop, the La Peregrina, that later would be in the jewelry collection of Elizabeth Taylor; Mrs. Lincoln shopped for lovely earrings that are in the MFA in Boston, probably beyond her husband’s means; and Josephine Baker and Mae West outdid everybody in the Roaring Twenties. Frida Kahlo put exciting earrings including some unmatched ones into her self-portraits. Women also have worn earrings that bespeak their politics: for example, the engraved gems attesting a woman’s faithful allegiance to the memory of Charles I, and the grisly fashion for teeny model guillotines in the wake of the French Revolution. Marie Louise de Parma. Anton Raphael Mengs. KBH: How did mass production influence the style of and the fashion for earrings? JM: One of my valued informants, Ulysses Grant Dietz, Senior Curator of the Newark Museum, explains the “bread and butter” jewelry suddenly available to all from mid-19th century. He says that between 1850 and 1950, more women’s earrings in 14 K and 18K were made in Newark than any other city on earth. In 1872, a Newark manufacturer also introduced machine production of the so important little earring findings. The Providence Jewelry Museum (Rhode Island), located in an old factory, has hundreds of drawers of beautiful steel dies once used to make intricate costume jewelry. JM: In England and also the U.S, women fighting for the right to vote might wear on their person purple, white, and green: purple for pride and triumph; white for purity; and green for hope or spring. Even if not of precious gems these are rare. 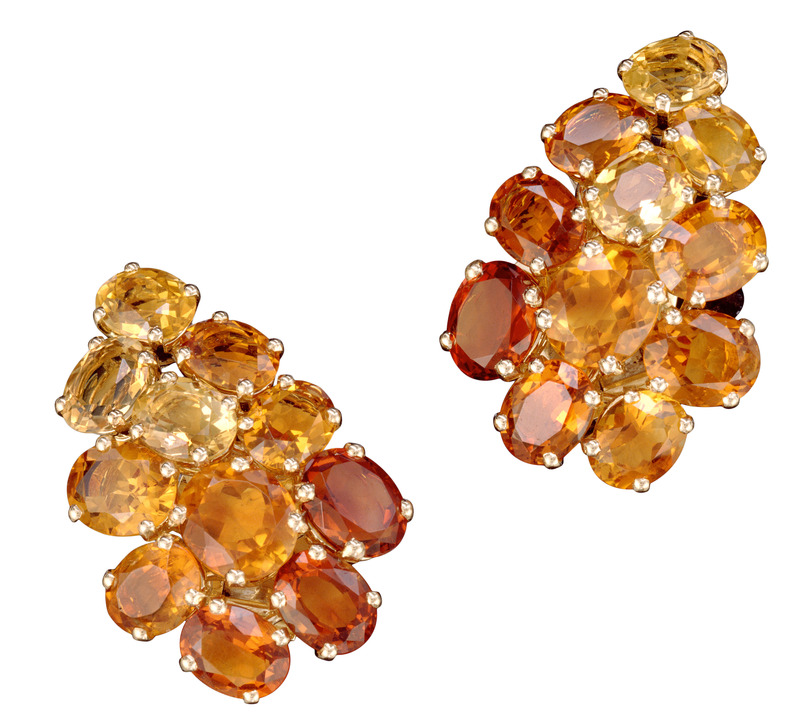 KBH: What changed for earrings in the new millennium? Do we see any new technologies coming in? How do they influence the aesthetic? JM: Different materials, from paper to plastics to palladium, CAD, and a patent for earrings in sync with a heart beat. Today people apply their beliefs about living to the earrings they create. 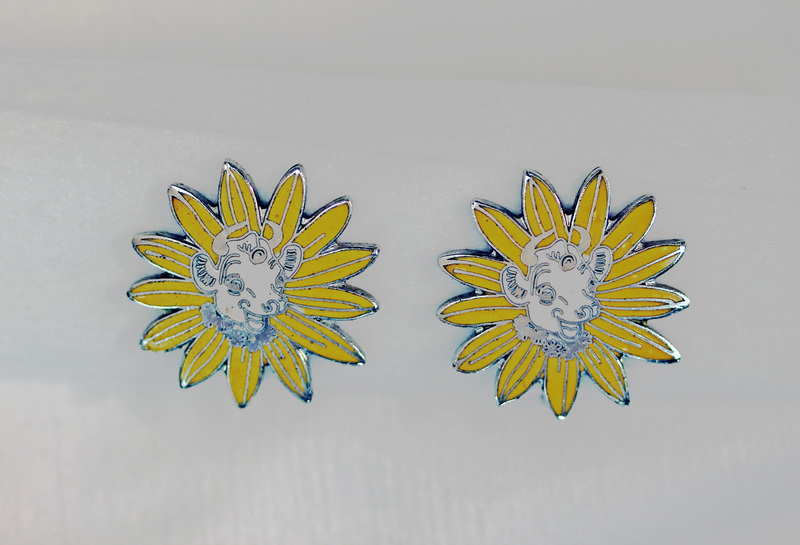 For instance, you see mismatched silver earrings by Mocium and earrings made of fascinating shards of antique Chinese porcelain, cut woods, coral, and old coins by a silversmith who travels the world for inspiration. KBH: Jane, thank you for taking the time to share your experience with us. Finally, do you have any advice for young researchers who want to publish their work? JM: If you don’t want to bore your significant other to tears, find someone as obsessed as you are and collaborate on learning what fascinates you both. This entry was posted in interviews and tagged Anton Raphael Mengs, Belperron, Borden, earrings, Frantz Winterhalter. Empress Eugenie, Fredrick Sandys, Jane Merrill, La Vielle Russie, Marie Louise de Parma, publication, Suffragettes earrings. Bookmark the permalink.